1. The first factor is US dollar stability. If the dollar is strong the silver market price will be low. 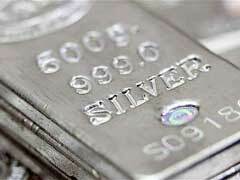 If the dollar is weak; silver prices rise. 2. The world silver market supply determines the price of silver. If silver reserves are high the silver market price is low and the converse is true. However, it is predicted that the world’s silver reserves are diminishing at 5% a year. Silver bullion coins value could eventually skyrocket. 3. Supply and demand are market indicators of the price of silver. If businesses and individuals are actively purchasing silver bars and bullion coins, the market price will rise. Today, the price of silver is relative low, but indications prove that more and more collectors are stockpiling silver coins. 4. Industrial demand for silver for use in smart phones, computers, and digital TVs is increasing. Silver is highly conductive and is used extensively in the electricity markets. This affects the price of silver and silver coin melt values will also raise. 5. Employment rates affect silver prices. 6. Hyperinflation will send silver market prices higher. 7. Government polices have a direct effect on silver and other precious metal prices. 8. Investors’ fears concerning the US and world stock markets have a nonstop effect on the price of silver and other precious metals. Silver coin dealers are seeing market increases in orders for silver coins as well as for gold and platinum coinages. 9. The economic situation worldwide is a driving force for the rising spot price or per ounce price of silver that causes silver bullion products to become higher in price. 10. China is the world’s largest silver consumer and as this population grows, the demand for silver also grows. These ten reasons that the price of silver is rising are indicative of the fall of the US dollar as well as general economic condition around the world. Silver price have generally been affordable, but they will continue to rise and the demand for pure silver coin investments as well as industrial needs skyrocket. Silver coin buyers will find themselves digging deeper to purchase collectibles, celebratory medallions, and general silver rounds.